건강식으로 병을 치유하는데 보탬이 되고 싶다. 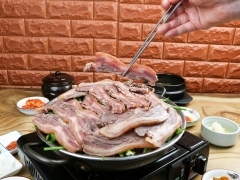 2008 서울국제요리경연대회 금상, 2008 지푸드쇼 한국요리경연대회 대상을 수상한 경력이 있는 실력파 맛집으로 유명하다. 화학조미료 대신 쓴맛, 단맛, 신맛이 어우러진 발효 진액으로 자연에 가까운 건강식을 만들어 병을 치유 하는데 도움이 되고자 30여년동안 노력을 멈추지 않는 주인장의 모습을 보면 절로 고개가 숙여진다‘. 나의 가족을 위한 요리’라는 마음으로 음식을 만드는 주인장 덕에 믿고 먹을 수 있어 안심인 두레보쌈! 꼭 한번 들려보시길. I hope that my healthy food will be helpful for curing diseases. 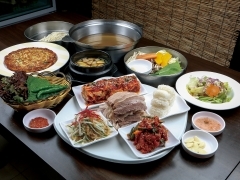 This restaurant was awarded the grand prize in the Korea International Culinary Competition and was certified by the Korean Food Association. You can eat food with easy mind without worry of hygiene and taste because of a semi-open kitchen. 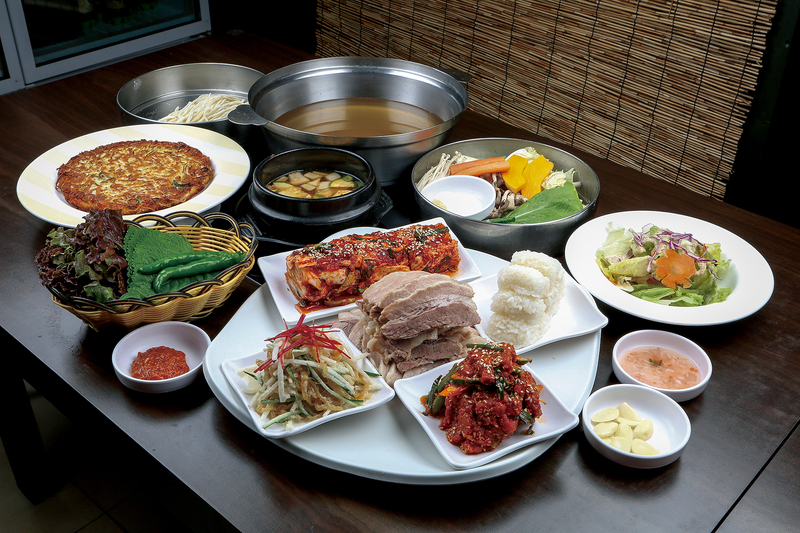 Very nicely presented side dishes and an abundance of boiled pork slices piled high one over another catch your eyes. You can sense the unique taste if you eat rice that salt for sushi is applied with a boiled pork slice and napa cabbage kimchi. 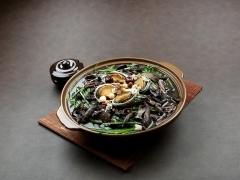 If you finish your meal with mung bean pancake and Shabu-Shabu noodle soup with fresh small octopus, it must be the meal that everybody can be satisfied with.